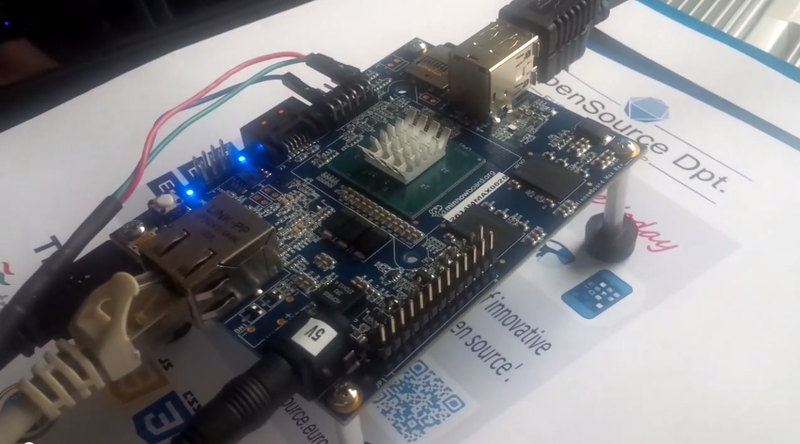 Tizen is the OS of everything and we have seen it running on an a All winner tablet, AllWinner A20 Dev board, as well as the Intel NUC, and recently as XBMC running on top of it (Tizen). Now we can add another device / developer board to add to the list, the MinnowBoard MAX!!! Our colleague Philippe Coval was one of the lucky ones to get his hands on a MinnnowBoard MAX early pre-production units. This is a development board that is powered by Intel’s E3825 CPU (Atom Dual-core 64-bit) and manufactured by CircuitCo. One of the reasons that this is a good target for Tizen, is that it EFI support, and in this case it only supports 64-Bit EFI Bootloaders. 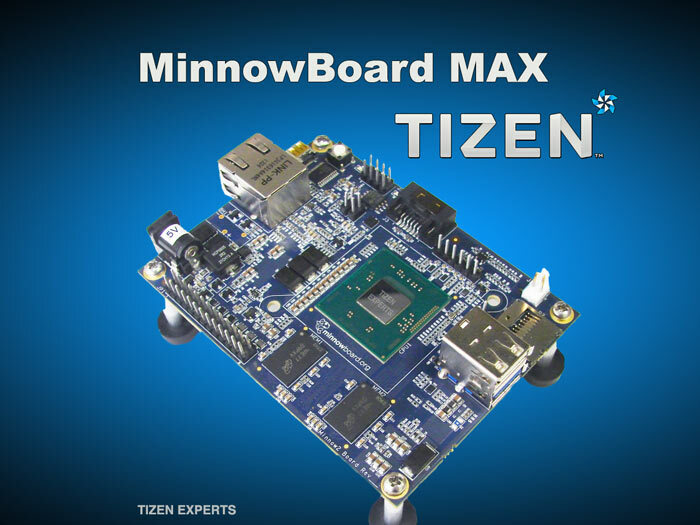 Minnowboardmax users (or regular EFI64 system) can download Tizen:Common EFI image for minnowmax : tizen-minnowboardmax-0.0.20140819rzr.img.xz (md5=009cdba2efb649f49e02af1a4aa55d2d). Any feedback from MBM users is appreciated, and also can be directed to Philippe to document the procedure to use or create images until they’re published upstream. For further information, and information on how to resurrect a bricked MinnowBoard Max board, then please visit the Eurogiciel website. Previous articleSamsung Gear 3 to be shown at IFA 2014 with a curved AMOLED display?